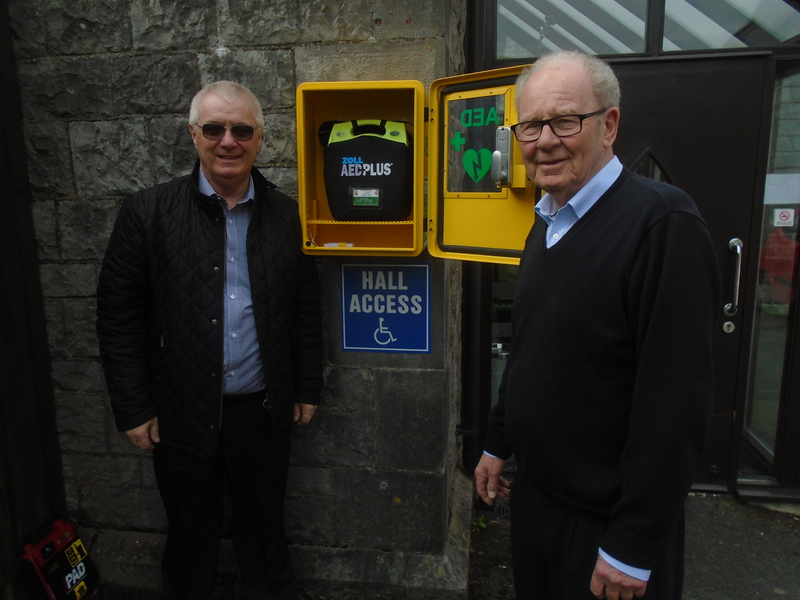 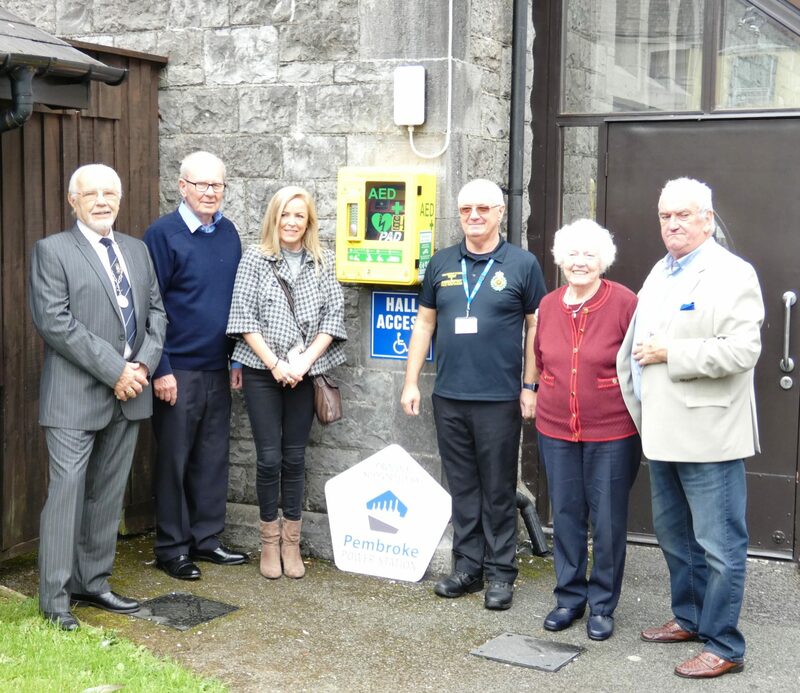 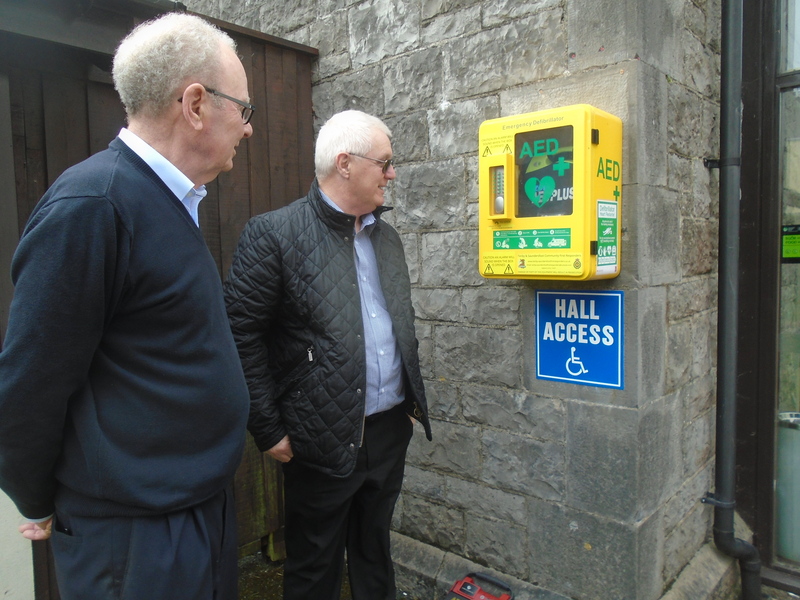 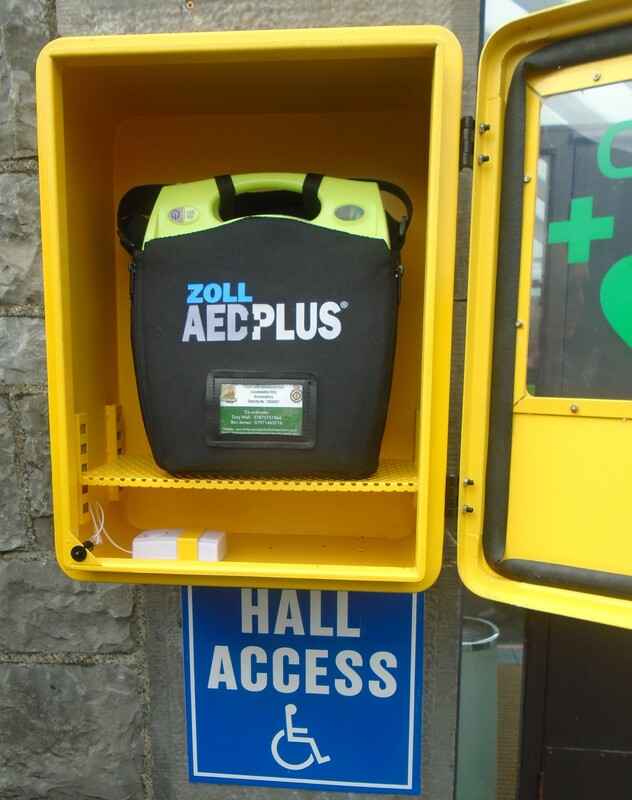 An automatic defibrillator has been installed in a public access case outside St John’s Community Hall , in Church Street, Pembroke Dock. This life saving equipment is available 24 hours a day. 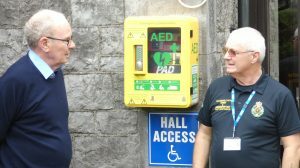 It has been acquired to serve the homes, businesses and the general public around the Community HallEvery year some 8000 people suffer cardiac arrest when not in hospital. 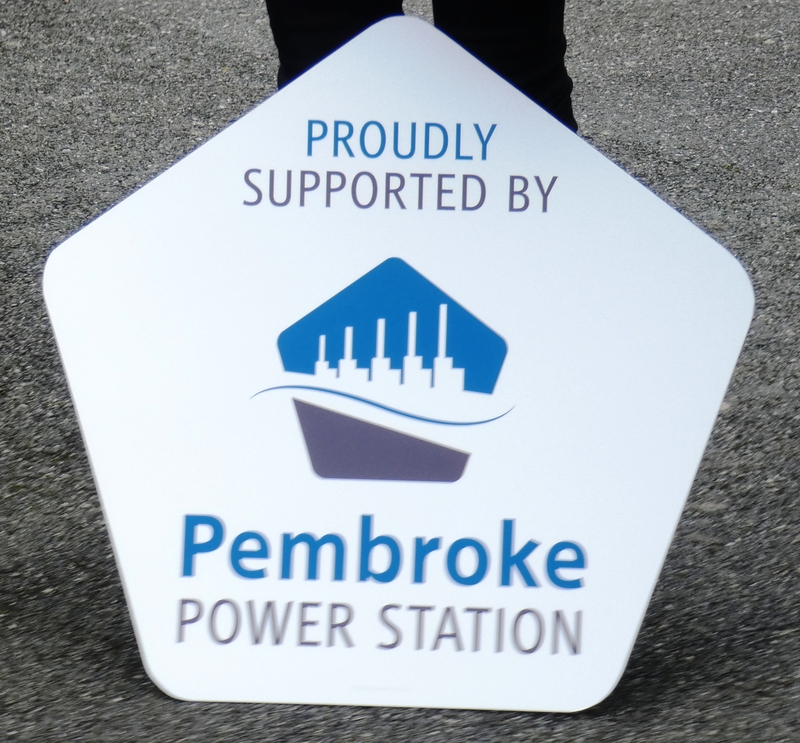 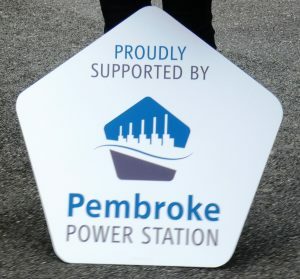 Treatment response time is vital, as every minute without CPR or defibrillator support reduces a person’s chance of survival by 10 per cent.More defibrillators are required in the community.The Community Hall’s programme of fund raising has been strongly supported by Councillor Brian Hall.The Hall were successful in being offered generous commitments by Pembroke Dock Town Council and Pembroke Power Station. 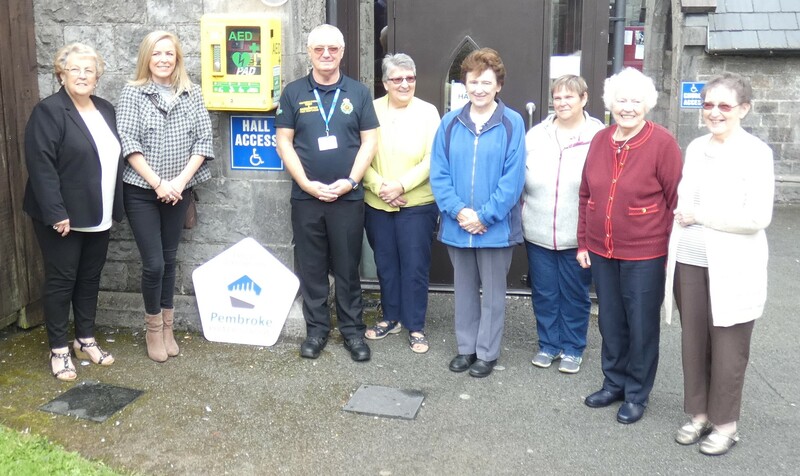 However, progress was massively boosted after receiving a recently purchased defibrillator, following closure of the Community First Scheme in Pembroke Dock.Tenby and Saundersfoot First Responders , led by Tony Walls provided invaluable advice and assistance in acquiring and installing the life saving equipment.We will be advising businesses and appropriate local organisations that this equipment is available. 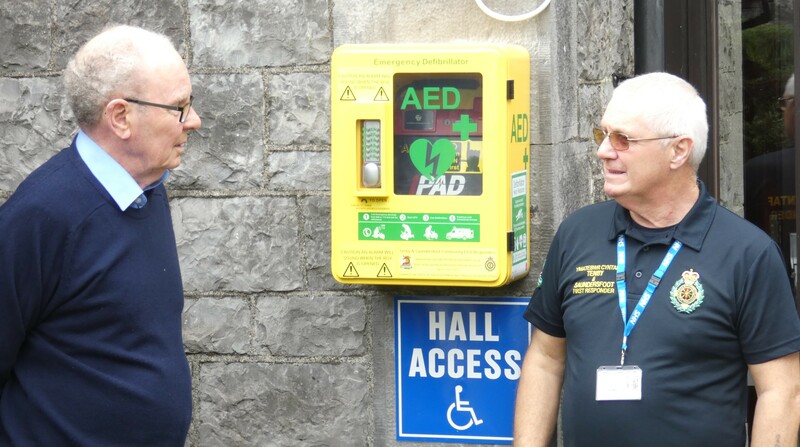 This will be followed by arranging training courses to familiarize representatives with the defibrillators AND the equally essential CPR (caudiopulmonary resuscitation ) procedures.We are grateful to all who have supported our project.